B 1950 J.E. 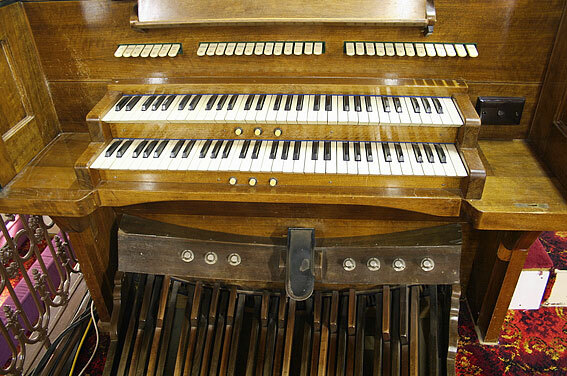 Dodd & Sons Gunstar Organ Works. 2m, 21spst, 9c, el.pn & el.mag. Enl 1985 George Stephens. 2m, 23spst, 9c, el.pn & el.mag. Gt: 8.8.8.8.4.4.2.II. Sw: 16.8.8.8.8.8.4.4.2.8. Ped: 16.16.8.8.8. The settlement of Langmeil, on the banks of the River Para, began in 1842. Pastor Kavel ministered to the congregation, and the first church was built in 1846. 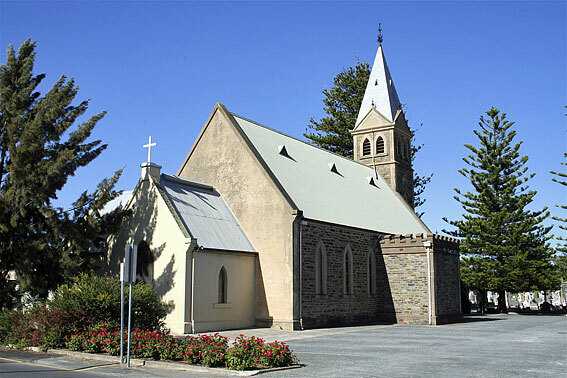 Many smaller congregations emanated from this ‘mother church’. 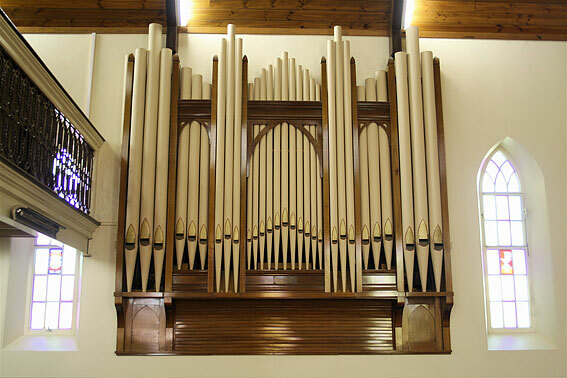 It is somewhat surprising that no pipe organ was used until the 20th century. The present building was constructed in 1888. 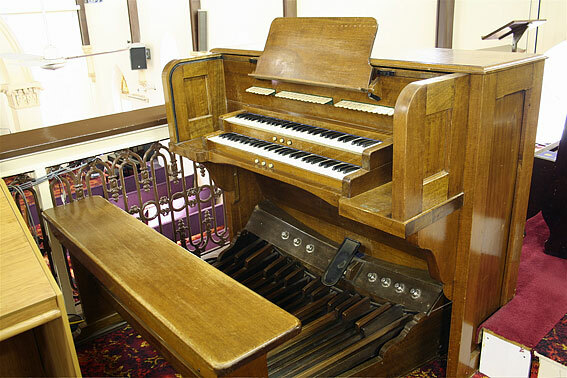 The congregation, with a strong choral tradition, maintained the use of reed organs until the pipe organ was purchased in 1950. 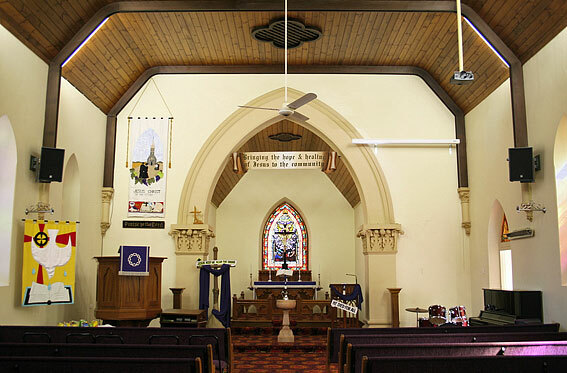 In 1888, coinciding with the 50th Jubilee of the Lutheran Church in Australia, the current church, a church of Thanksgiving, was opened on 25 November. In preparation for the new tower, the bronze bell was cast at the Barwell foundry, Birmingham, England in 1887. Its Tone is C Sharp and it measures 30 x 24 in. 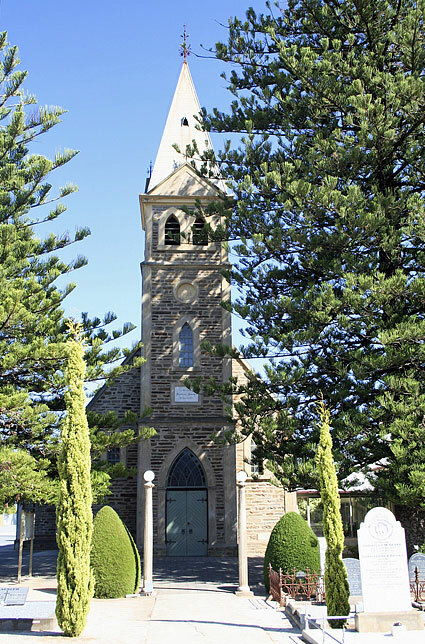 (750mm) with a weight of 267 kg.5 The church is attractively sited in a large churchyard and an avenue of Norfolk Island pine trees leads to the main entrance.